lthough the importance of the Bisotun monument is generally recognised, its intrinsic value for Iranian culture and history, regardless of, for example, Greek historiography, not always is. 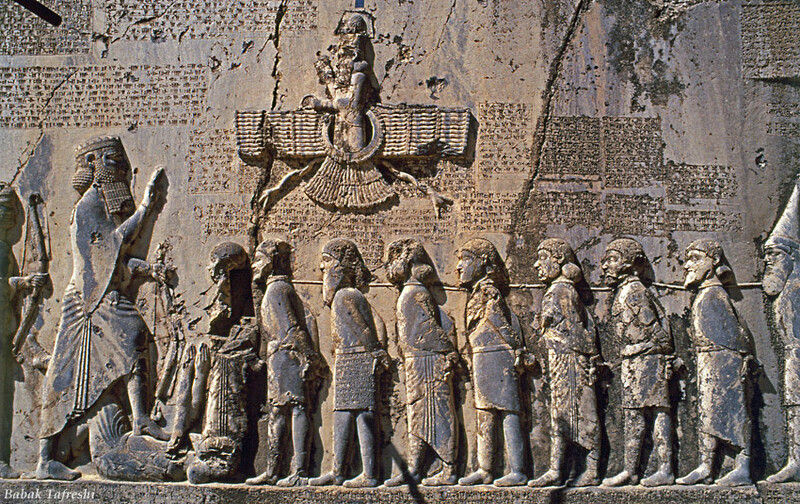 Access to the monument is often limited, as no up-to-date synoptic edition exists to reveal the full richnesses of the Elamite, Akkadian, Old Persian and Aramaic versions (and their interplay) as well as all the details and the cultural dynamism of the Bisotun relief. 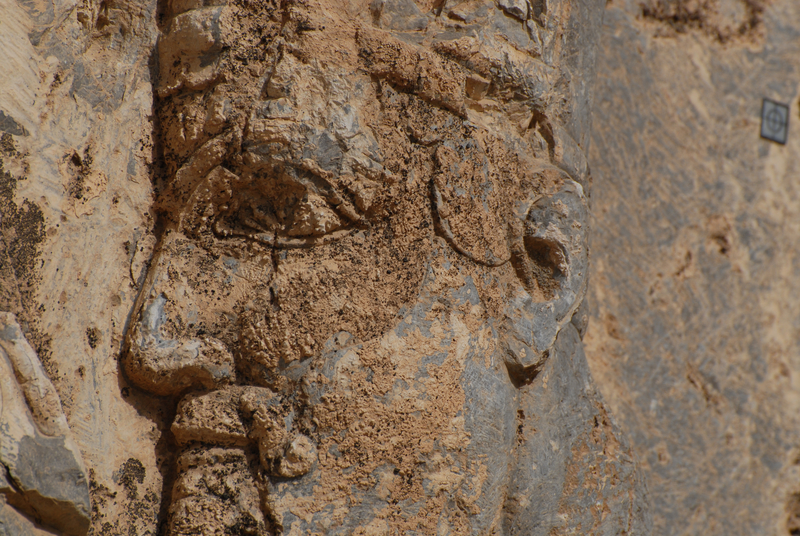 In fact, given its crucial position in the history of decipherment, in the understanding of Achaemenid royal ideology, and in the history of the early Achaemenid empire, it is surprising to notice that Bisotun has been studied so little as a monument in its own right. At the core of project lies the aim to present a new synoptic edition of all four versions of the inscription as well as its iconography in a way that allows scholars to appreciate the monument as a five-voiced medium. Special attention will be given to the uniqueness of each version, the greater and smaller differences with the other versions. Stress is given to the notion that king Darius’ message is intentionally multilingual (no matter what language the elusive Ur-Text was) and that this multilingualism is essential for a right understanding of Bisotun. It needs no explanation that the end result should include detailed images of relief and texts. 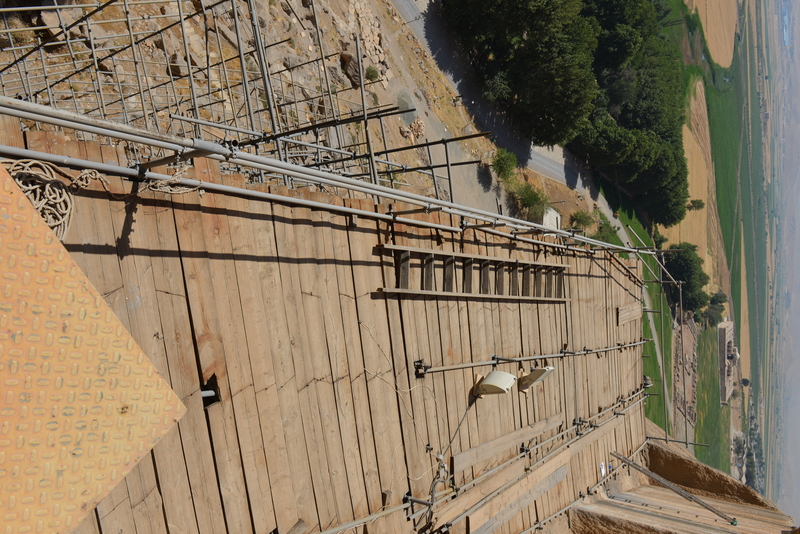 The epigraphic expedition took place after four years of preparation and anticipation. The expedition to Bisotun was, in one word, rewarding. 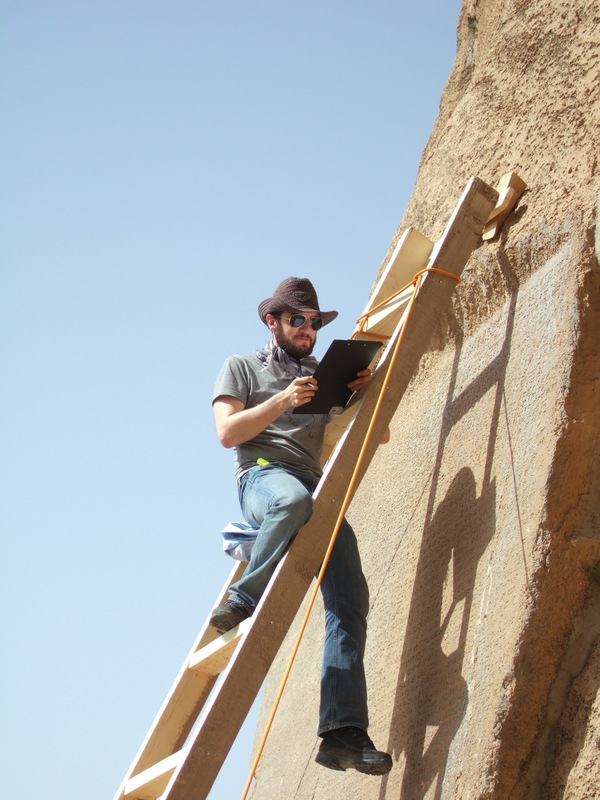 For the team members, all of whom have worked with the Bisotun monument for years, it was obviously an exciting experience to come face to face with king Darius and his writings. But more important: it turned out that the text of each of the versions (Old Persian, Elamite, Akkadian) could be significantly improved by an autopsy reading at the site. This is particularly true for the Elamite version. In the 170 years since Henry Rawlinson made his paper squeezes, generations of scholars have tried to improve the text by suggesting emendations and restorations, yet without having access to the rock or to good photographic evidence. Nobody has actually read the entire inscription from the rock. The result has been a jungle of corrections and alternative readings of which the status and reliability is often obscure. One week at Bīsotūn was enough to clear away these uncertainties and come with a fresh edition that weighs all previous scholarship against autopsy investigation. Although the Bīsotūn victory relief is well known, its details, too, are imperfectly documented. There is no photographic record of such elements as shoes, belts, hands, etc. For one thing, this means that the very clearly distinctive artistic hands of the various sculptors who worked at Bīsotūn have hardly been recognized before. The printed edition will not just be another presentation of the texts and relief, but a rebirth of the Bisotun monument as such: a synoptic presentation of fresh editions, solidly based on autopsy, acknowledging all previous scholarship, and accompanied by the best images that have ever been made of the inscriptions. Similarly, we anticipate that a full publication and photographic record of the relief will bring back Bīsotūn to where it belongs: at the centre of ancient Iranian studies. It is thanks to the unrelenting engagement of our partners, notably the German Archaeological Institute, the Bīsotūn World Cultural Heritage Centre, and the Soudavar Memorial Foundation, that we have been able not only to reach our initial goals, but also to create a momentum for a concerted conservation effort of one of humanity’s most inspiring monuments.